Having a room that employees can recover in after a fall, trip or other medical emergency, sets your company in good place to deal with the injury. 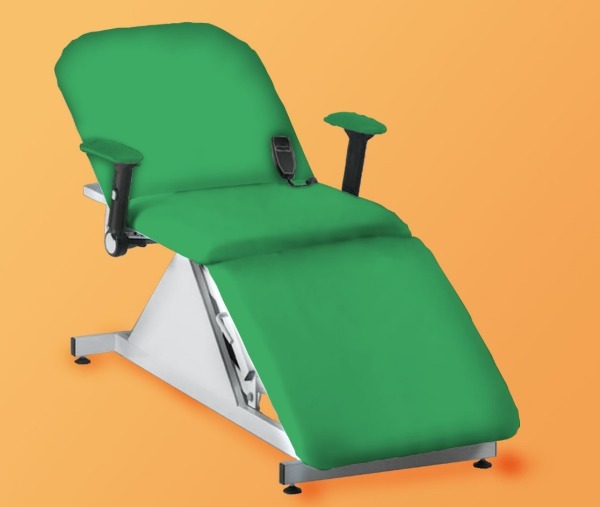 When choosing products and equipment for your First Aid Room, special consideration should be taken into account in regards to the nature of the business. For example it makes good sense for a large health club or school to own a pair of crutches in their First Aid Room. This would be due to the high likely risk of sport related sprains, breaks or strains. Another example may be a steel smelter having a special need for burn related safety products or aBurn Stations First Aid Kit . 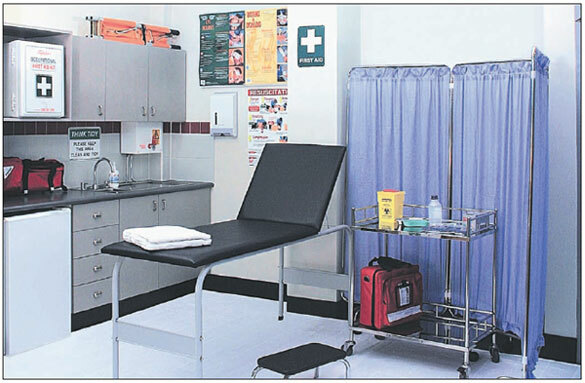 Pictured below shows the basic setup for a First Aid Room. At the core of any room is an examination couch or stretcher, a First Aid kit and usually a sink with hot and cold water. Working around these products you can build up your room as you feel the need for certain products. 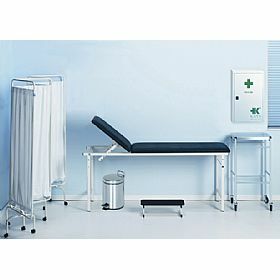 Your states guides or codes of practice sometimes provide guidance as to what equipment should be in a First Aid room.